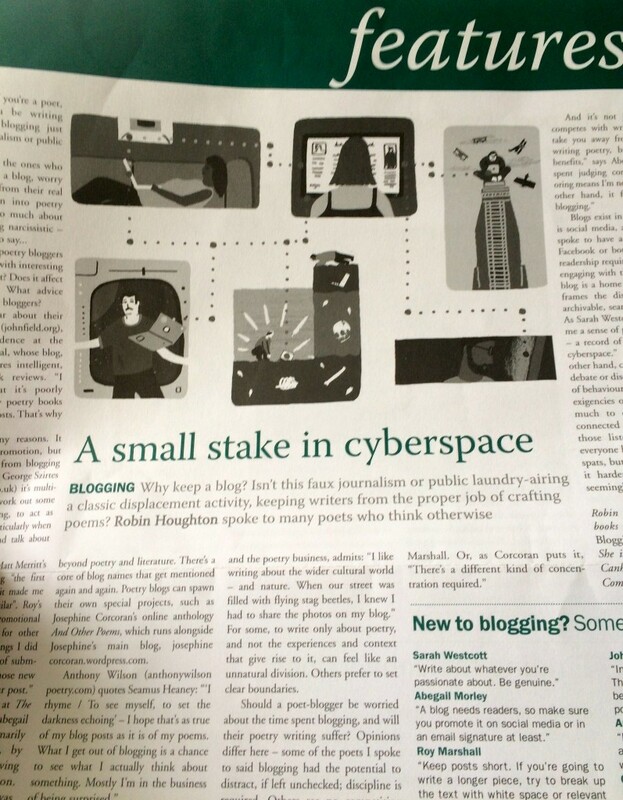 The Poetry Society’s Spring issue of Poetry News, featured Telltale’s own Robin Houghton writing about blogging. Robin, in fact, is a bit of a blogging boffin and has written three books on the subject, including Blogging for Writers. In her article she quizzed some of Britain’s best-known bardic bloggers: Sarah Westcott, Abegail Morley, Roy Marshall, Josephine Corcoran, John Field, Anthony Wilson and George Szirtes about what makes their blogs tick, and how this relates to their other writing. Well worth pilfering a copy of Poetry News if you’ve not seen it.